The Portwest S590 premium jacket offers superb comfort in all weathers and is engineered for maximum performance. 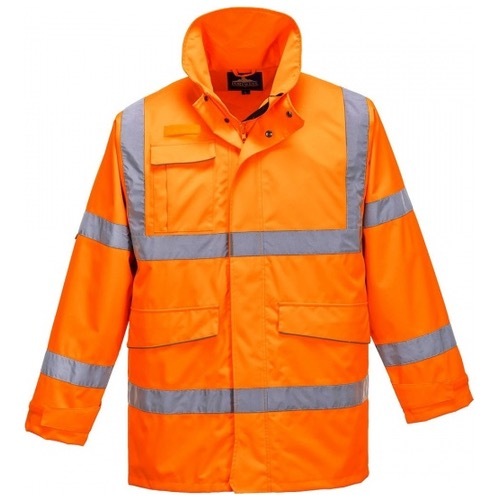 Waterproof and breathable to the highest standards, this jacket boasts a multitude of features including six pockets for convenient storage and a full length superior 2-way zip fastening. An interactive zipper allows the insertion of a fleece jacket for additional insulation if required.